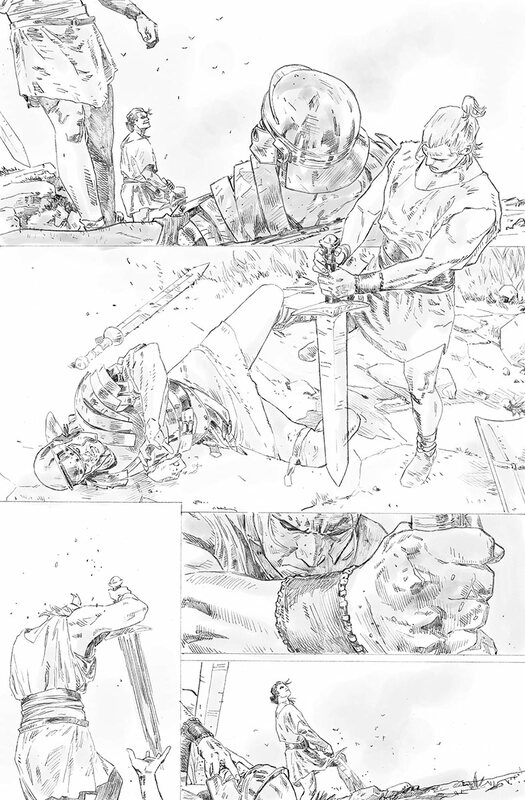 Valiant is proud to present an advance preview of X-O MANOWAR #0 – a colossal comics milestone and an all-new jumping-on point arriving in October from New York Times best-selling writer Robert Venditti (ARMOR HUNTERS, Green Lantern) and superstar artist Clay Mann (X-Men: Legacy, Gambit)! 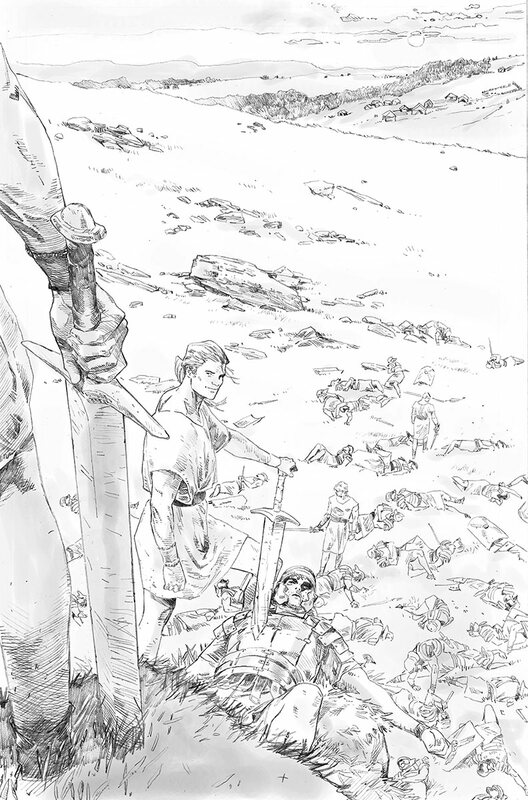 In the wake of the sold-out success of ARMOR HUNTERS, start reading here as the world’s most wanted hero returns to his roots for a never-before-revealed look into X-O Manowar’s past! Also joining this landmark exploration of Valiant’s hardest-hitting hero is Eisner Award-winning artistDave Johnson (100 Bullets, Superman: Red Son), who will contribute FIVE interlocking shelf covers forX-O MANOWAR #0! 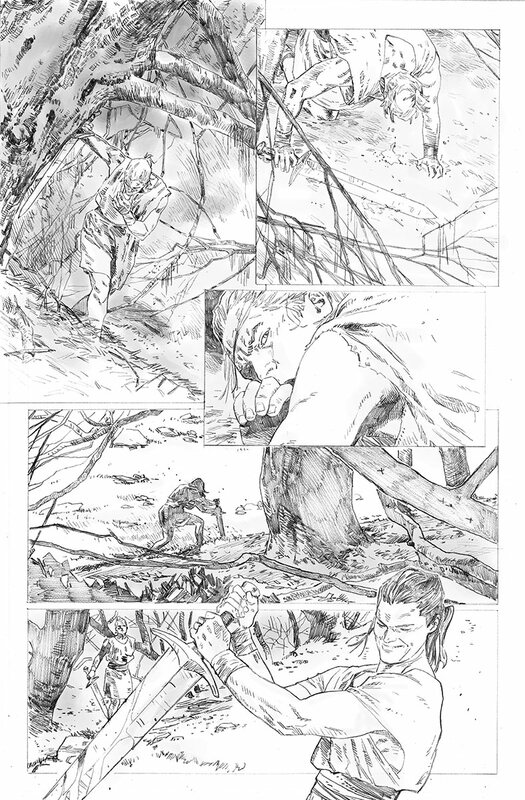 In addition to the centuries-spanning origin tale by Venditti and Mann, each component of Johnson’s epic, five-piece interlocking image revisits a different chapter in the life of Aric of Dacia, the man behind the armor – his abduction and enslavement by the maleficent alien race known as The Vine in the fifth century A.D.; his escape and arrival in the modern day with The Vine’s ultra-powerful X-O Manowar armor; his pursuit by the cunning intelligence agent called Ninjak; his ascent into the ranks of the unbreakable all-star superteam codenamed: Unity; and, finally, his battle against the onslaught of the alien Armor Hunters! 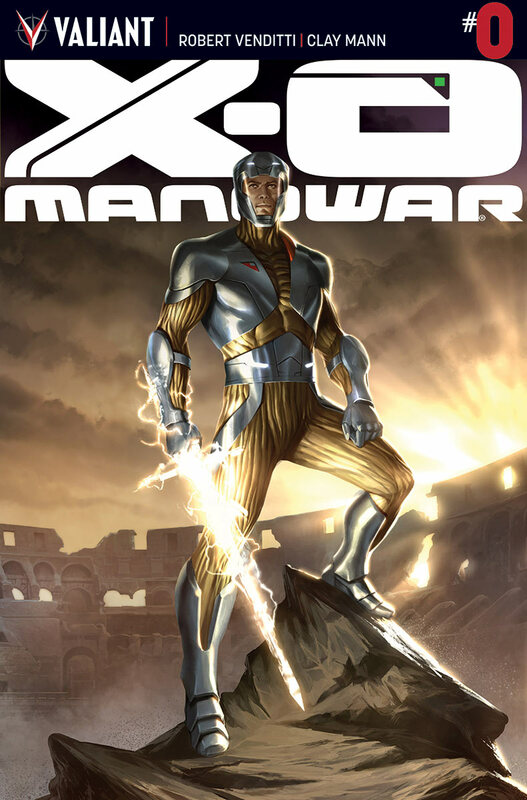 After narrowly surviving the events of ARMOR HUNTERS, X-O Manowar – or what is left of him – must look to the future, but, to do so, he must first learn the startling secret of his past. Be here on October 8th to learn the violent, never-before-told origin of Visigoth life under the brutality of the Roman Empire, and how the modern day’s most feared armored hero began his journey to the stars nearly two millennia ago. Don’t miss the most demanded Valiant story of the year as Robert Venditti and Clay Mann usher in a brand new beginning for one of the most acclaimed series in comics today, only in X-O MANOWAR #0– now featuring five, must-see interlocking variant covers by the incomparable Dave Johnson!